This is going to be one busy FREE weekend in Detroit. Where do I start? Meet Chelsea Handler on Friday at 5:30pm at the Birmingham Borders Books. Chelsea has a new book called "Chelsea Chelsea Bang Bang" which she will be discussing and signing copies before her performance at the FOX at 8pm. There will be a FREE Easter Carnival Saturday at the Belle Isle Casino from 11am to 3pm with candy, face painting, inflatables, prizes, egg hunts and more. Take the kids to the FREE Home Depot Kids Workshop on Saturday from 9am-Noon. Kids 5-12 will make a Butterfly House. There will be FREE Easter fun at both Northland and Eastland Malls on Saturday where the kids can do crafts, get treats, and search for the golden egg. Whoever finds the golden egg will get a $50 Visa Gift Card. 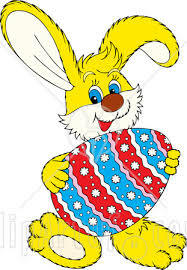 And to round out the Easter celebrations, Art Van Furniture stores in Waterford, Livonia, and Howell will have FREE visits with the Easter Bunny this Saturday. Remember to bring your camera. The FREE Butterfly House is wrapping up at Oakland Mall in Troy this Saturday. Bargainsta Alert! I love when exclusive designers do lines for Target. And now you can add Zac Posen to the Target hit list. His collection will be in Target starting April 25th. The prices start at $16.99 and go up to $199.99. If his Target line sells like the other designers before him, it will be gone within days. Click here to see all the pieces (with the prices). Passes do not guarantee entry. Arrive early. You are invited to a screening of the SPECIAL CLIFFHANGER EDITION of Disney•Pixar's TOY STORY 3! Click below for the chance to see the first 65 minutes of the gang's newest adventure. And make sure to check out the full 3D experience of TOY STORY 3 when it hits theaters nationwide June 18, 2010. The toys are depending on you. You MUST bring your valid college ID for admission, seating is first-come, first-served, and no recording devices are permitted. Read the full disclaimer. AN RSVP FOR THIS EVENT DOES NOT GUARANTEE ADMITTANCE. THIS SCREENING IS FIRST-COME, FIRST-SERVED. Please arrive early to secure your seat, as no one will be admitted late and seating is not guaranteed. The theater may be overbooked to ensure capacity and admittance is on a first-come, first-serve basis, with no reserved seating. Theatre and promoter are not responsible for overbooking. We may refuse, revoke or limit admission in our sole discretion at any time. Click here to view and print the flyer for this event. Through the generous contribution of General Electric, Detroit Public Television is pleased to invite you to our studios for a special taping of “Being Strategic with Erika Andersen" on Friday, April 23, 2010. 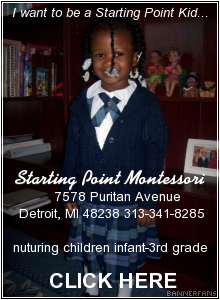 For more information please call Josette Marano at (248) 305-3782 or email jmarano@dptv.org. FREE Home Depot Kids Workshop on Saturday April 3rd. The next FREE Home Depot Kids Workshop will be Saturday, April 3, 2010 form 9am to Noon at all Home Depot stores. Kids ages 5-12 will make a Butterfly House. There will be a discussion and book signing of Chelsea's new book "Chelsea Chelsea Bang Bang"
This is a great way to see Chelsea for FREE before she does her comedy show later on Friday at the Fox Theatre at 8pm. And believe me, that show is NOT free. TIME CHANGE & PROCESS CHANGE: The Chelsea Handler event has been changed to 5:30 pm at Borders in Birmingham on Friday, April 2. Wristbands will be distributed when the store opens and throughout the day. First Tee mission is to impact the lives of young people around the state of Michigan by providing educational programs and learning facilities that promote character development and life-enhancing values through the game of golf. The First Tee facilities offer an ideal venue for introducing children (starting at age 7 and up) to the game of golf. These learning facilities welcome beginning golfers by providing affordable access in an atmosphere that is less intimidating and an experience that is less time consuming for a child who is just starting to play the game. The First Tee Registration starts on 4/1 and sells out every year within days. Last year, First Tee added classes for parents to also learn the game of golf. This is a very afforable way to take golf lessons. Designed to improve your life by changing the way you walk, Shape-ups feature a unique soft kinetic wedge insert and dynamic rolling bottom to simulate walking on soft sand. With the comfort of Shape-ups, you will feel your heel sink to the ground as you step, roll forward as your weight shifts to its center, and push off with your toes. This movement will result in stronger leg, buttock, back and abdominal muscles as you stabilize your steps. Redeem coupon code SHAPE10 at http://www.skechers.com/ for $10 off through the end of April '10. 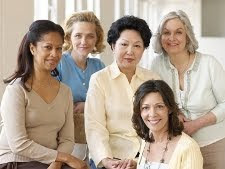 The experts of Women's Health Services at Henry Ford are committed to offering women throughout southeast Michigan the best care possible, from the latest treatments to free seminars on topics that are relevant to you. The Henry Ford Hospital West Bloomfield: Are you sure this is a hospital? Last week, I was invited to take a tour of the Henry Ford Hospital West Bloomfield during their one year anniversary celebration. 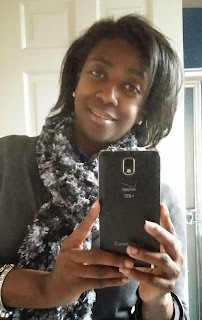 I had never been to this hospital before, but I had heard about their private rooms and hotel-like amenities so I was eager to see everything for myself. The Henry Ford Hospital West Bloomfield is the first hospital that The Henry Ford Medical Group has built from the ground up since the original hospital in Detroit opened in 1915. The hospital was designed to be a community gathering place and the community had input in the final design. The hospital has a radical design that takes the patients needs into account to provide an almost spa like experience. My tour started on Main Street, which resembles a street in a small village. The Henry Ford designers went for an old world lodge atmosphere. There are salvaged architectural pieces like the stained glass windows shown in the photo above and there are cozy areas to sit and rest like the wicker chairs in front of the fireplace shown in the photo above. The atmosphere feels very homey. There are actual street signs on posts to direct visitors. On each side of the street are stores including Caribou Coffee, The Sleep Well Shop that sells beautiful organic bedding, and The Live Well Shoppe which sells organic lotions and potions, all kinds of products for healthy living, and beautiful jewelry and clothing. While on my walking tour, I met the cutest member of the Henry Ford staff, Henry the therapy dog. Henry is very good at his job because he put me in a very relaxed mood. We left Main Street and entered into the first of two atriums which are both beautiful and peaceful. The first atrium is very large and had just been used by the DSO for a concert for the hospital's anniversary celebration. The second atrium is smaller and contains an interfaith chapel. Some of the patient rooms look out into this atrium and the patients can use the atrium to walk in for exercise. Next on my tour was a look at the patient rooms. In the Henry Ford Hospital West Bloomfield, every room is a private room and there is no additional costs to stay in a private room at this hospital. Since every patient room is private, the standard room insurance rates apply. Each patient room has a view of the atrium or the pond that surrounds the hospital. Each room has a stylish tile bathroom, a huge couch that can sleep an overnight guest, and a flat panel TV. The TV can be used to watch more than just TV programs. It can also be used with the remote to watch videos about upcoming patient procedures and order 24 hour room service. Yes, 24 hour room service! The hospital has found that by allowing patients to eat when they are hungry and to eat what they want (within dietary restrictions), food waste has been cut down significantly. Also extra bedding, towels, and other supplies are not kept in the room, but in a linen closet right outside the room. This again cuts down on waste and saves the hospital money. Even the walls and floors on the patient areas are stylish. The walls are covered in original works of art depicting Michigan outdoor living and the floors have pattern themes (acorns, leaves, etc) that are stylish and help patients and visitors to identify where they are going. Next on my tour was a visit to the Demonstration Kitchen, which is a 90 seat kitchen auditorium where the audience can watch and participate in healthy cooking classes. It was fabulous. It looked like the set of a Martha Stewart cooking show. I peeked in to see the filming of a special cooking class featuring Michael Geiger from the Eastern Market. Wellness never looked like this! My tour continued with visiting Vita, the hospital wellness center. This is a wellness center like nothing I have seen before. Vita is a luxury spa providing massage therapy, skin care, nail care, aqua therapy, and more with a mind body studio featuring yoga and exercise classes. They also have a Neuroacoustic Sound Therapy Chair where 25 minutes in the chair is equivalent to a 90 minute nap - I totally need some time in that chair. The wellness center also provides mammograms and wig and makeup application for cancer patients. My tour ended with lunch at Henry's, which is billed to offer a unique and healthy dining experience. I was totally prepared to hate the food since it is all suppose to be healthy, but I was pleasantly shocked by how delicious it all was. The food is prepared fresh daily by chefs that are trained in healthy cooking. I had a delicious burger and a slice of sugar free cheese cake that was wonderful. Who knew healthy food could taste that wonderful. During the lunch, the dining experience was further heightened by the music provided by a wonderful piano player. I could not believe that I was eating in a hospital. Click here to see some of the FREE screenings offered in March and April by the Henry Ford Hospital. Disclosure: I received a complimentary meal as part of my tour. Cole Haan Heart & Sole Project: Get 20% off at a Cole Haan store for donating gently used pair of shoes. Step up and join Cole Haan and SOLES4SOULS in changing the world, one pair of shoes at a time. Frm March 19-29, we'll give you 20% off your entire purchase when you donate your new or gently worn shoes (any brand) at a Cole Haan retail or outlet store. Happy Birthday Aretha Franklin - You do Detroit proud, you Natural Woman! Take the kids to Lowes for their FREE Kids Build and Grow Workshop this Saturday. This time the kids will build a kaleidoscope. 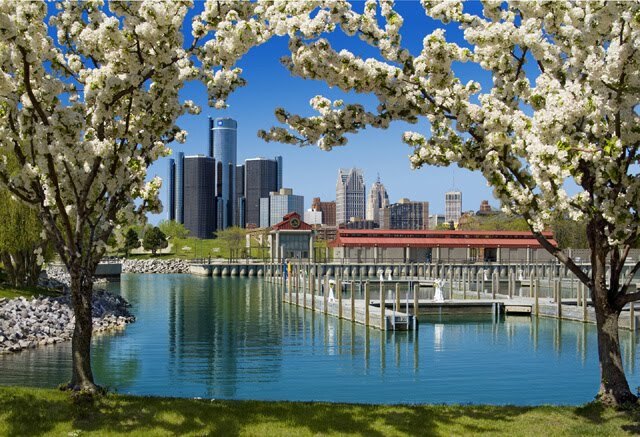 The Detroit Historical Museum is putting on a FREE Eggstravaganza on Saturday from 10am to Noon where kids can decorate and fill Easter baskets and the whole family can enjoy the Spring Variety Show. Laural Park Place is having Breakfast with the Easter Bunny this Saturday from 9am - 10:30am in Livonia that only cost $5 per person. If you are on the Northwest side of Detroit this Saturday, stop in at the FREE Easter Egg Hunt at the Detroit Public Library Sherwood Forest Branch on West 7 Mile and the Southfield freeway. And to round out the Easter celebrations, The Art Van Furniture store in Dearborn will have FREE visits with the Easter Bunny this Sunday. The Macys at Somerset Mall in Troy is having a INC Spring Chic Event on Saturday at 1pm where the first 50 RSVP'ed guests that arrive early will each get a $25 INC gift card. For Teachers, Saturday is a great day at go to the Henry Ford for their FREE Educators IMAX Preview event at 8:30am. The IMAX film will be "Hubble 3D". RSVP is suggested. There is a FREE quilting exhibit at the Ford House in Grosse Pointe Shores. The last day for this FREE exhibit is this Sunday. 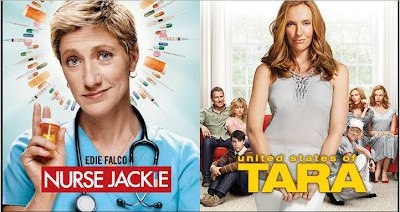 If you are stuck at home this weekend, check out the new Showtime series premiers of Nurse Jackie and United States of Tara online before they are shown on Showtime. Use the password to access the shows online. And lastly, how about getting prints for some of those photos that are stuck in your camera? Walgreens has a code that gives you 20 FREE 4x6 photos. Do you like to be out and about in the D and want to support businesses with FREE wi-fi so you can also get some work done? Say no more. 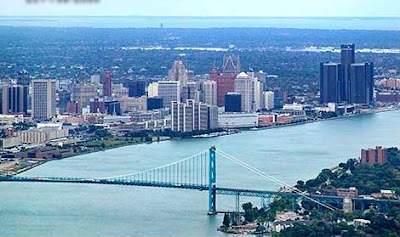 Click here for the list of FREE Wi-Fi Hotspots in Metro Detroit courtesy of DoDetroit.com. Note: You can also add to the list the Wintergarten in the GM Ren Cen. The Detroit Princess is docked on the Detroit River near Hart Plaza where Atwater and Civic-Center Drive meet. Get a $50 gift certificate for only $17.50. 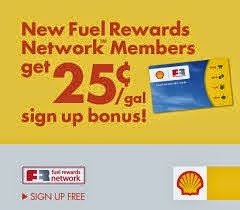 Offer is good only until Thursday 3/25. Get ready for a totally awesome FREE event for dogs & the people who love them. From noon to 3 p.m. on April 11, Liz Blondy, founder of Canine to Five, is opening up her amazing facilities to all #dogup participants. With 4,500 square feet of cage-free, indoor, climate-controlled play space and 1,000 square feet of secured, fenced in, well-lit outdoor play space, your four-legged friend is sure to have a blast. The Yelp community is pulling together to kick off a series of bake sales to benefit local animal organizations. The #dogup will be the pilot event for this program, so Yelp members will be in attendance with lots of goodies for participants! Non-dog owners are just as welcome to attend! 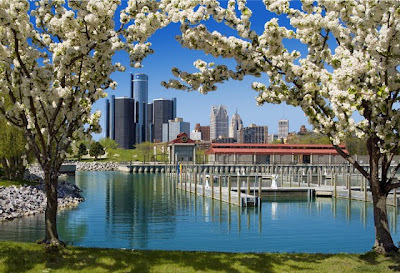 You can check out the facilities, catch up with your fellow Detroiters & just enjoy the warm weather. 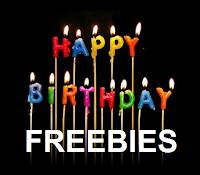 Did I mention the #dogup is free? Any questions, contact @ericafinley or erica.j.finley@gmail.com. Hope to see you there! Be a Showtime VIP Insider: Watch Premier Episodes of Nurse Jackie & United States of Tara before SHOWTIME Subscribers! Watch the season premier episodes of Showtime shows "Nurse Jackie" and "United States of Tara" online before anyone else. Click here and when prompted enter the secret code: "HABIT FORMING"
Head and neck cancers account for approximately three percent of all cancer cases in this country. Since early detection not only saves lives, but also reduces the debilitating side-effects associated with this highly preventable type of cancer, Henry Ford Health System is holding free screenings on Thursday, April 15. Henry Ford has traditionally been the only local health provider to offer free head and neck cancer screenings during Oral, Head and Neck Cancer Awareness Week. Henry Ford West Bloomfield Hospital, 6777 W. Maple Road, West Bloomfield -- Screenings at this site will be held 1:30 p.m. - 4:30 p.m.
Head and neck cancer can occur in the mouth, throat, larynx (voice box), swallowing passages, salivary glands, thyroid gland and nasal passages. People who use tobacco or drink alcohol heavily are at higher risk than others to develop the disease. Most cases are found in people over the age of 40, and the disease is more common in African Americans than Caucasians. People who use tobacco or drink heavily should be screened for head and neck cancer at least once a year. Cancer warning signs also include hoarseness, persistent throat and ear pain, mouth sores that won't heal or a lump in the neck. To register for a free screening or for more information, call (313) 916-3275. Because space is limited you must have an appointment for screenings. For a limited time, Dell.com is selling the Nintendo DSi in Silver for only $129.00. That is a savings of $40 off the retail price here in Detroit. 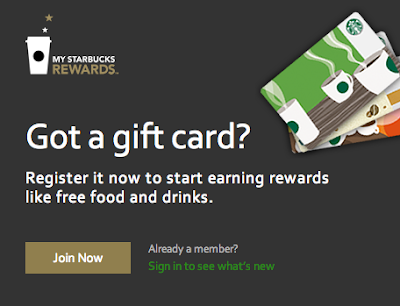 I don't know when this offer will expire. 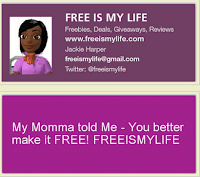 If the deal has expired, check the other colors. Dell seems to be changing the deal to another color each week. UPDATE: 3/24 - The Deal is dead. Sign up to receive a gift certificate† for $20 off your first hair color service at an Aveda salon. †Cannot be combined with any other offer. Offer only valid for guest listed on this certificate. Certificate redeemable at participating Aveda Salons only. See aveda.com/colorkarma for locations. Valid for new hair color clients only. Not available online at aveda.com or in Aveda retail stores. Available in the US and Canada only. Please mention this offer when booking your appointment. The Goodwill Industries Ben & Jerry's PartnerShop in downtown Detroit will hand out FREE 4-oz ice cream cones to anyone who stops by Tuesday, March 23, as part of Free Cone Day. The PartnerShop, owned and operated by Goodwill Industries of Greater Detroit, provides paid work experiences for Southeast Michigan youth with barriers to employment.